A&R Worldwide's founder and President, Sat Bisla first received Dido's demos in 1995; she did a back-up track for her brother Rollo's band Faithless. Both Faithless and Dido were signed with U.K. independent label Cheeky Records, which was co-owned by respected music entrepreneur Mel Medalie and talented producer Rollo (Dido's brother). Bisla was the first radio DJ to play Dido in the U.S. (if not the world); he played her track "Flowerstand Man" from the Faithless demo tape in the summer of 1995 on Fresno, California radio station KVSR, which he'd received from Mel Medalie. For almost two years Bisla worked with Cheeky Records in trying to convince U.S. labels to sign Dido, and radio programmers to play Dido with little success. Bisla states, "Everyone told Cheeky Records and I that Dido would never work in America." Bisla also wrote many articles on Dido before she was on the radar of the U.S. A&R community. Dido eventually signed with Arista in the U.S. in late 1996. Bisla worked with the Arista Alternative Radio promotion staff in helping convince radio she was a viable artist; this was prior to Eminem including Dido on his track "Stan." 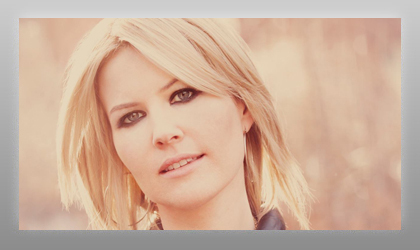 Dido has now sold well-over 30 million albums worldwide! Peter Leak (manager for Dido) says, "Sat Bisla has always been at the forefront of what's really happening in music and what is about to happen in both the U.K. and the U.S. His range of contacts and his ear for new music are exceptional and truly special. He was aware of Dido and talking to people about her in the U.S. long before anyone else and his support helped her to get started. He has also been extremely helpful in hooking us up with contacts at radio globally. Plus he's just a great guy!"